Take on the challenges of the modern farmer! Explore a huge open world including a detailed North American environment, loaded with farming activities, over hundreds of acres of land. Harvest many types of crops, tend to your livestock, take part in forestry work, and sell your products to expand and invest in your farm! Transport your goods in trucks and trailers, or load and drive trains to reach your destination. 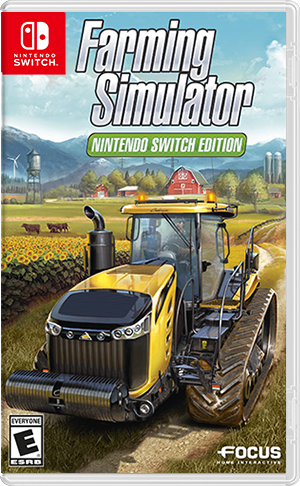 Where can I buy Farming Simulator Nintendo Switch Edition physical/digital?